My friend Collin Kobayashi of 3D Innovations just popped out some SUP fins for his new board. Collin just got into SUP and is an engineer for his daytime gig. Check out the post he did where he shows how he made the fins. We’re gonna test them at the beach this week. 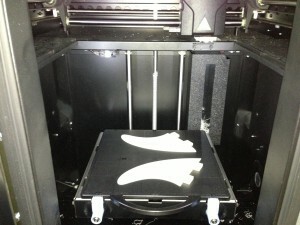 Additive manufacturing (also known as 3D printing) provides solutions for a number of every day problems. You constantly hear and read about individuals using additive manufacturing to build replacement parts for common products. Below is a real world situation that was recently encountered and how additive manufacturing was utilized for the solution. This problem isn’t far fetched at all because we actually encountered a situation similar to this here at 3D Innovations. Luckily we were able to quickly design and 3D print replacement fins for the SUP Board. Solution: With the use of additive manufacturing/3D printing, 3D Innovations was able to design and build fins for a Stand Up Paddle Board (SUP). 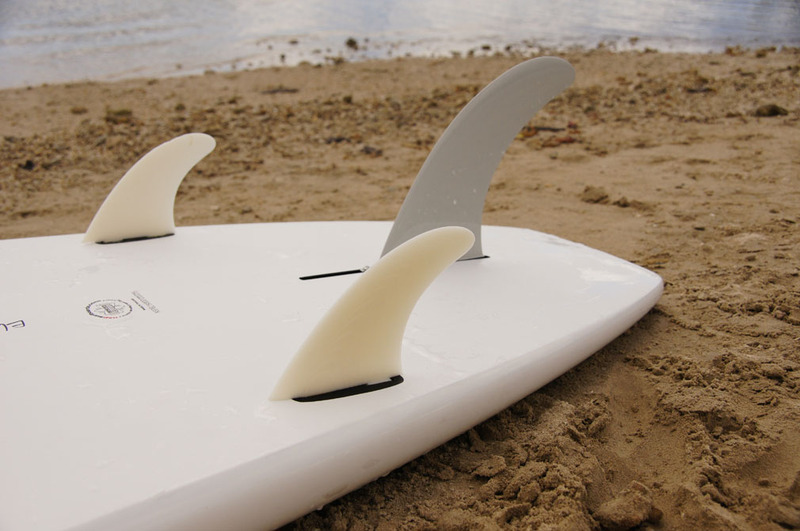 With minimum customization, these fins were designed using a 3D CAD program and produced using Production Grade Thermoplastic material using additive manufacturing. 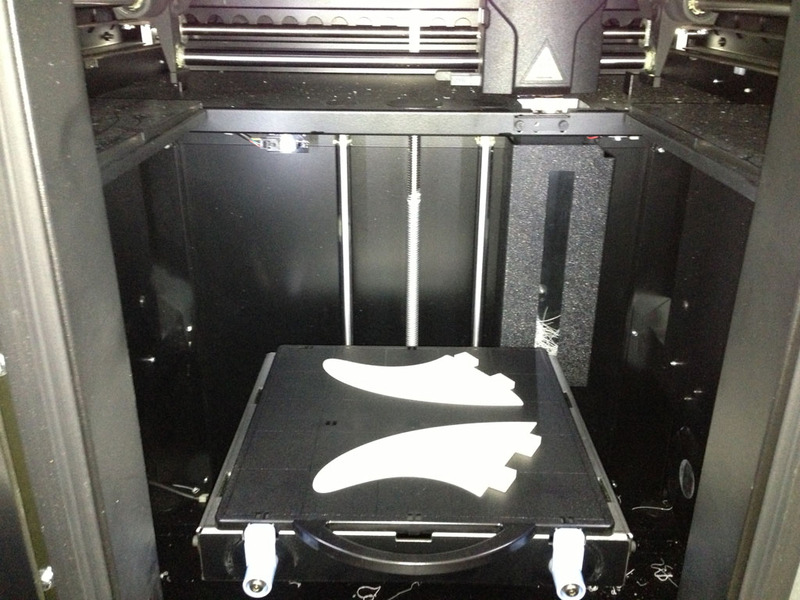 Once the 3D printing process was complete, the fins were removed and installed onto the paddle board. To ensure the durability and strength, these fins were actually tested in waters off Oahu (Hawaii). While it is hard to measure a difference in performance, the fins did provide an alternative to off the shelf parts and were easily customized to fit the specific model of the SUP board. « Connor Baxter Wins the 2013 AWSI Athlete of the Year Award! This entry is filed under Accessories, Gear Previews, News. You can follow any responses to this entry through RSS 2.0. You can skip to the end and leave a response. Pinging is currently not allowed.